The 52 episode drama airs daily on Jiangsu TV / Zhejiang TV beginning tonight. Chen Wenqi at the Hong Kong Film Awards. 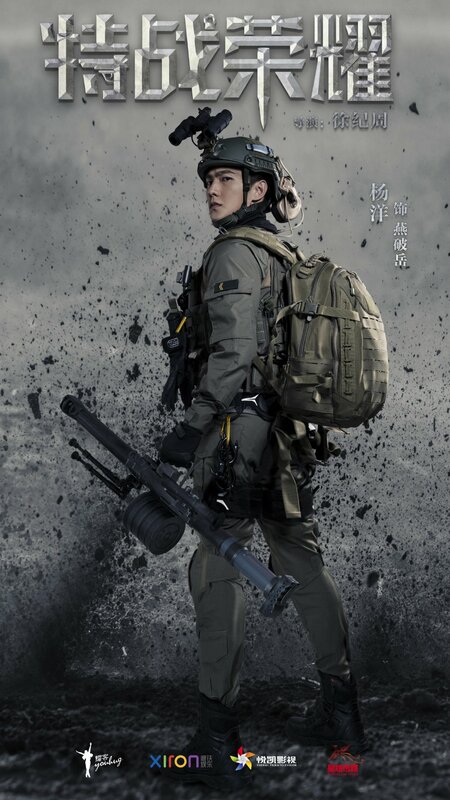 Upcoming military drama Glory of the Special Forces 特战荣耀 (lit.) stars Yang Yang (Martial Universe) as Yan Poyue, a high school student who comes from a family of soldiers. He forgoes the university entrance examinations and joins the armed police force in order to prove his worth to his father. The Great Craftsman 巨匠 released a new romance -themed trailer focusing on the love between its two leads, architect Fu Hanjun (Yang Mi) and construction worker Shen Qi’nan (Wallace Huo). I wasn’t really sold on the previous trailers, but this one’s really cute. Selfies with patients is a requirement of the job. Wang Ziwen, Chen Xiao, and Jia Qing’s medical procedural drama Healer of Children 了不起的儿科医生 released its first set of stills recently. You might not be able to tell by his talk or gait, but Zhang Yunlei has lived with 108 iron nails inside his body for two years after surviving a 20m (65 ft) fall (he was drunk). The nails were only removed a month ago. One of last year’s biggest breakout pop idols, xiangsheng comedian, Ping opera, Peking opera , xiaoqu, etc. artist Zhang Yunlei and his partner Yang Jiulang will finally be headlining their first international event this year. The pair will be at the Melbourne Convention Centre on September 23 and at The Star Event Centre in Sydney on September 29. Tickets for Sydney are already on sale through Wechat (QR code below), and tickets for Melbourne go on sale at noon local time on April 20th here. The closest thing xiangsheng has gotten to a concert. Republican mystery drama Detective L features Bai Yu as Luo Fei, a dashing detective who develops a bickering romance with recent police academy graduate Qin Xiaoman (You Jingru). 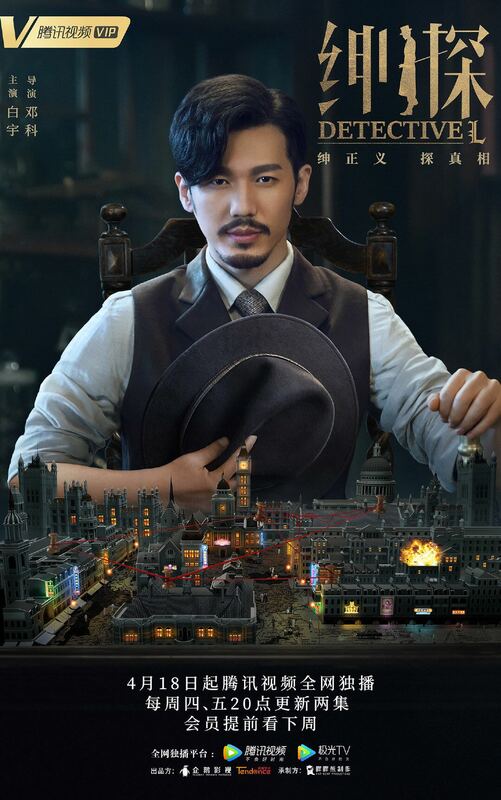 They begin to solve a series of murders with the help of a gifted medical examiner Benjamin (Ji Chen). The 24 episode web drama is directed by Deng Ke (Seven Versions of Myself) and releases 2 eps every Thursday and Friday on Tencent. VIP members get a 6 episode head start. From Li Yifeng, Lu Han, Qin Hao, Zhu Yilong, to Hou Minghao, portrayals of Wu Xie has always been good-looking, but will this be the one where he’s actually interesting? The latest TV series based on The Lost Tomb book series, Explore with the Note : Rage of the Sea 盗墓笔记之怒海潜沙 goes under the sea as the crew explores the fallen ship of a Ming dynasty fengshui master. The new teaser is the first looks at a two-part series starring Hou Minghao as protagonist Wu Xie and Chen Yi as his otp Zhang Qiling. The series is produced by Tencent, directed by Li Ang (no credits), Zhou Yuyi (Hide and Seek ) , and Liu Guohui (Li Yifeng’s Tomb Raider) , and scripted by Li Ang and Bai Yicong (Li Yifeng’s Tomb Raider). Li Man, Zhang Boyu, Yao Yichen, Liu Xueyi, and Yao Lu round up the cast. 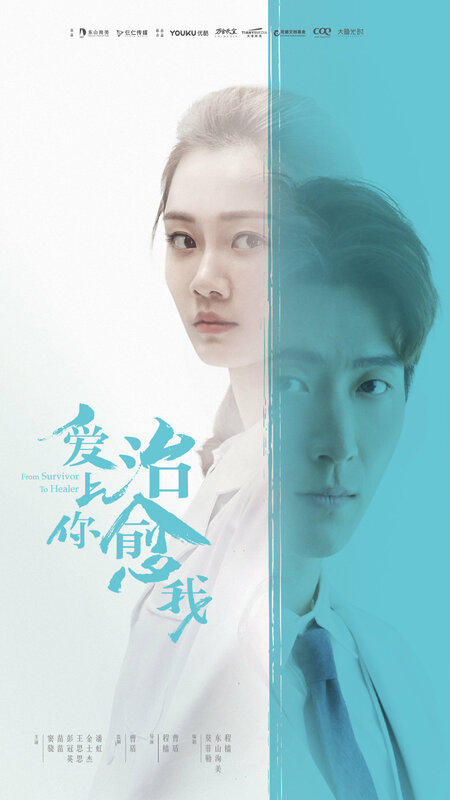 Healing romance drama From Survivor to Healer stars Shawn Dou (Tribes and Empires) and Miao Miao (Youth) as mental health professionals who must try and overcome their own traumatic experiences before treating others. The 42 episode drama releases an episode a day on all major Chinese streaming sites as well as Youtube and Viki. VIP members get an 8 episode head start.